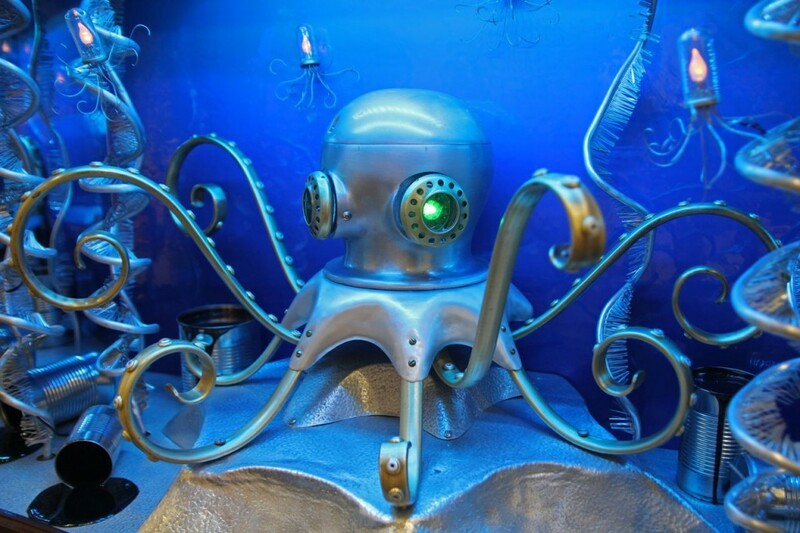 Here is the arrangement of the creature and the submarine. 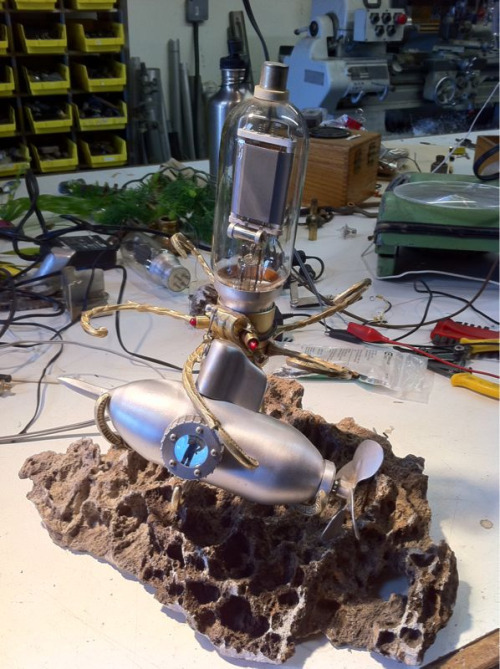 I used lamp hardware to mount the pair to a piece of lava rock. It doesn’t show well in this photo but the vacuum tube glows dull orange. 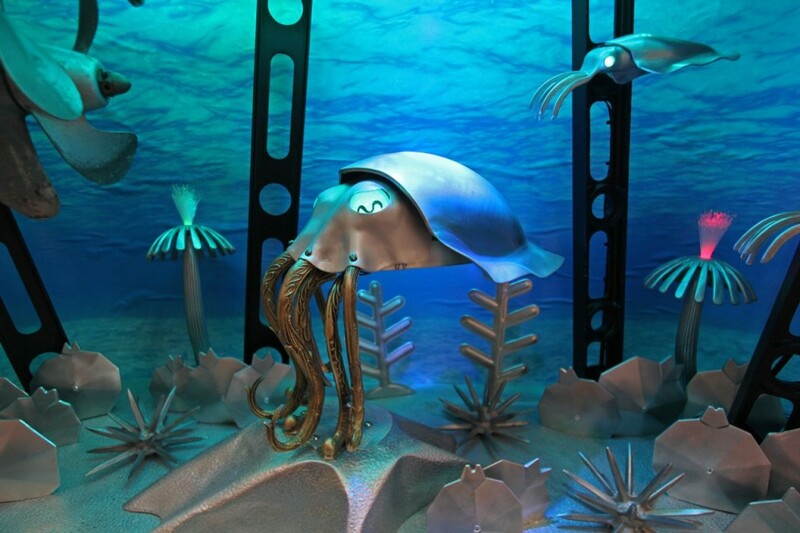 Here is the antagonist in my new “Squid vs…. 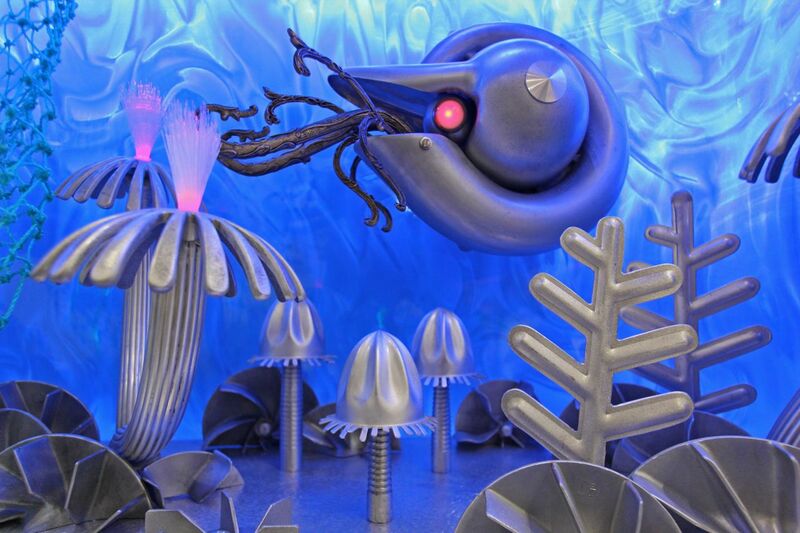 Here is the antagonist in my new “Squid vs. Submarine” diorama sculpture. 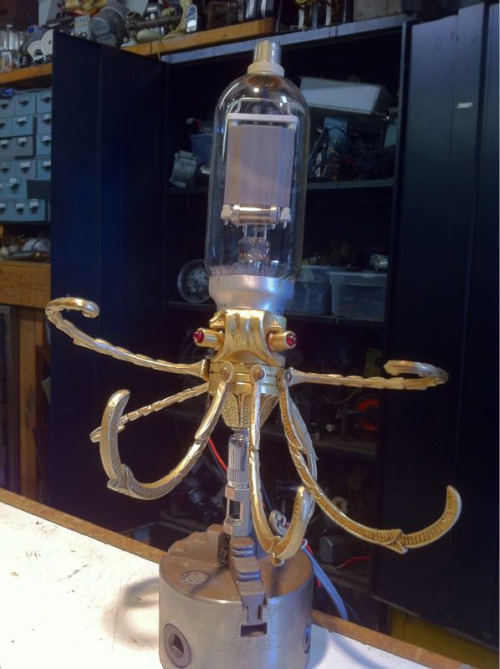 The vacuum tube will glow orange, and the LED eyes will glow red.